Patio Gardens Victoria - Established in 2004! 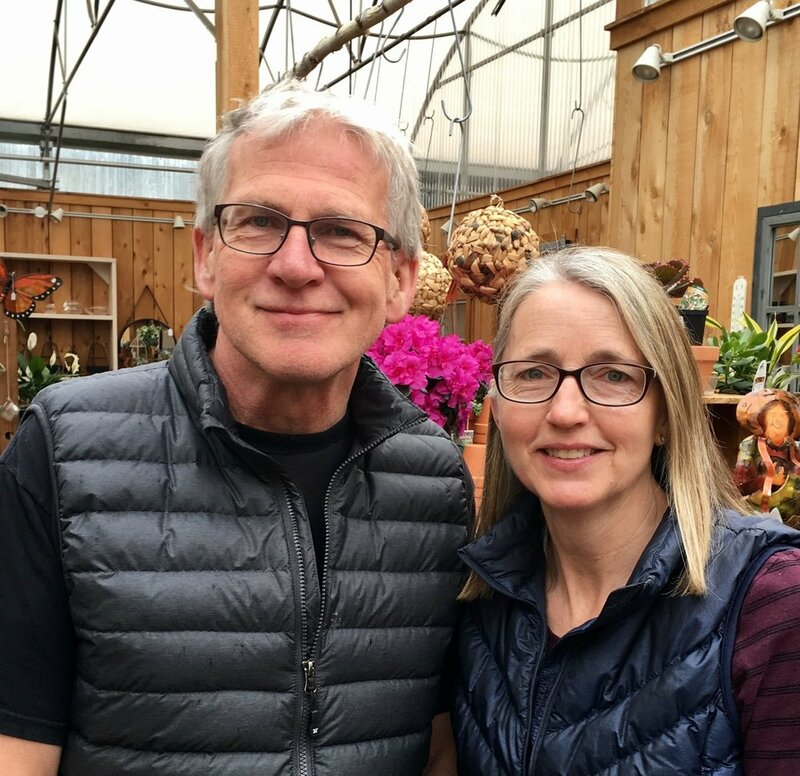 Paul and Yvonne Bulk have been in the floral and garden business for over 35 years. From owning a wholesale flower business, to growing, planting, selling, flower arranging... they've done it all! Patio Gardens grew from small humble roots into the unique garden centre it is today. We grow much of what you see ourselves, from from annuals & perennials. 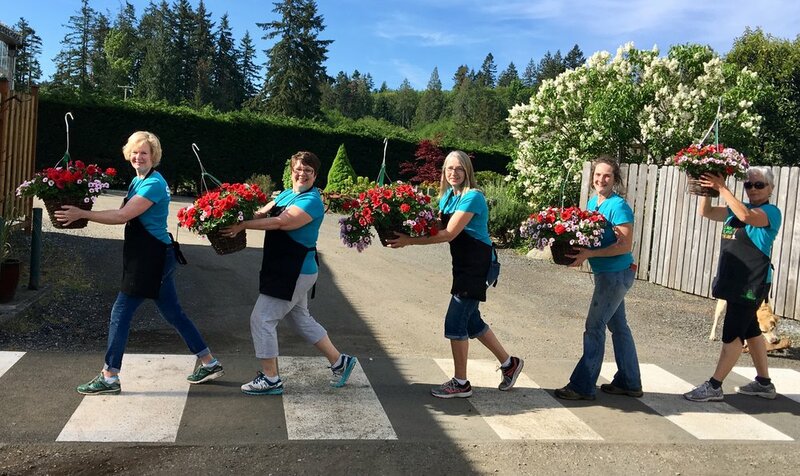 What sets us apart from other garden centers is the expert gardening advice and personalized attention you will get from Yvonne, Paul and their experienced staff - they all live and breathe gardening! Bring us your questions! Patio Gardens Victoria is proud to have been part of the Saanichton community for over 15 years. 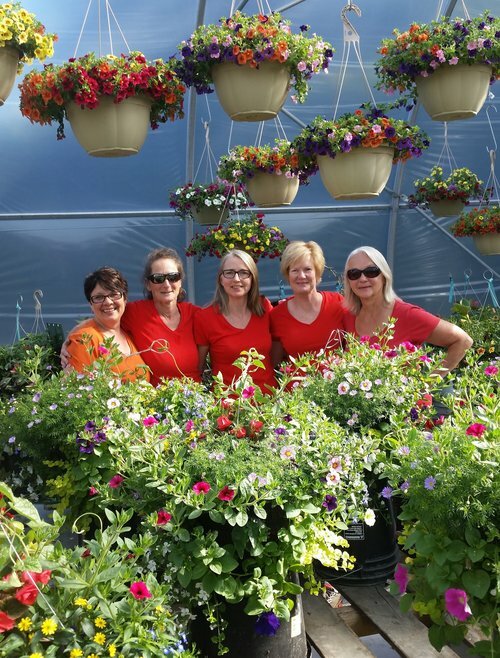 Come on by and meet Deirdre, Rhonda, Yvonne, Lyndia and Karen and they will be thrilled to help you with your gardening decisions and answer any questions you have. Having fun on Abbey Road!